Players fight other players with their customized army to steal "life time" points from each other to survive longer than everybody else in the game. In the meta-game the players can unlock, upgrade and choose the right troop types for the next match. Use this chance to support a highly innovative tactic game. 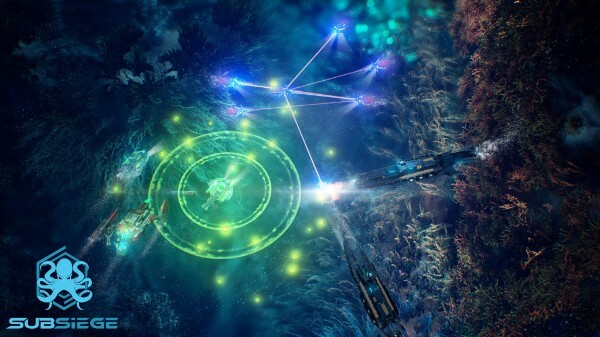 No other strategy game allows you to connect in a running session without having some huge disadvantages ingame. 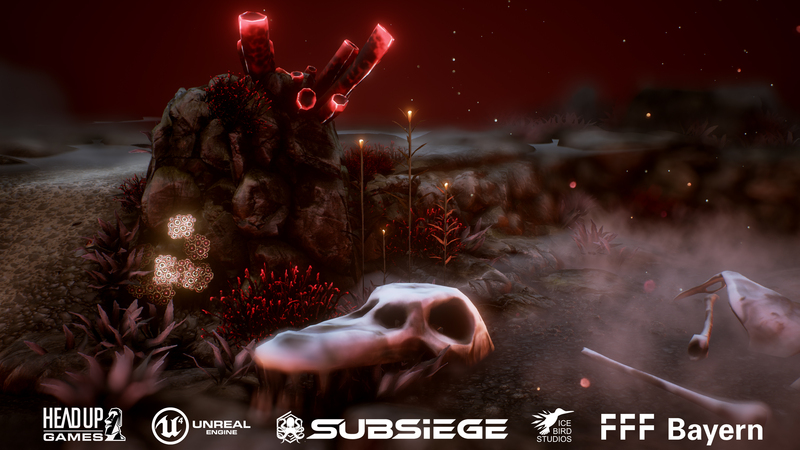 In the course of the cooperation, Subsiege will be released in early 2017 on STEAM. A precise date will follow soon. 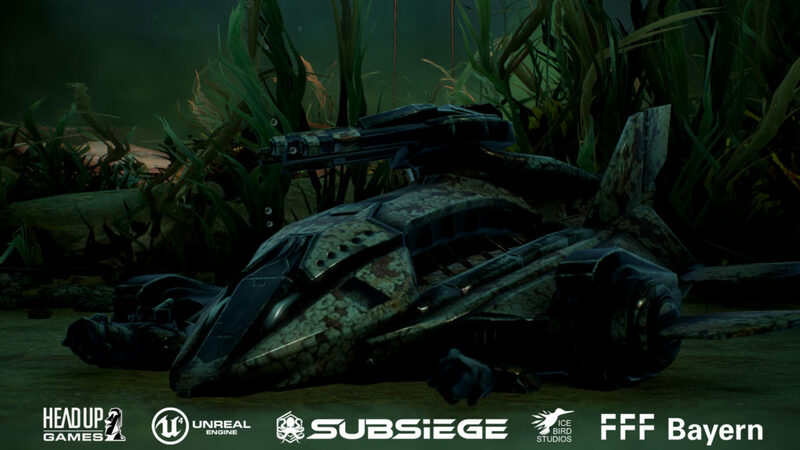 Subsiege - previously known as Submerge - is an online strategy game based on the Unreal Engine which requires skilled controls and complex tactical knowledge in a refreshing and grasping deep sea setting. 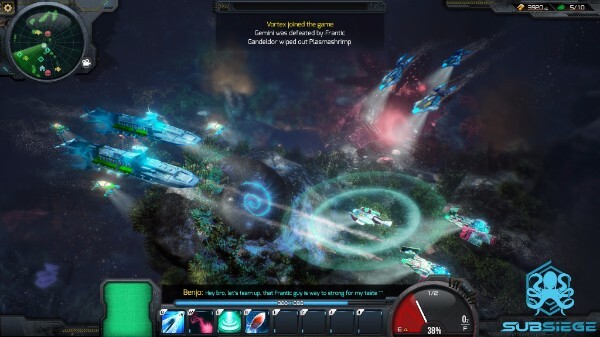 The game is a new approach to the modern MOBA/RTS playstyle and matches classic RTS with competitive MOBA-gameplay. 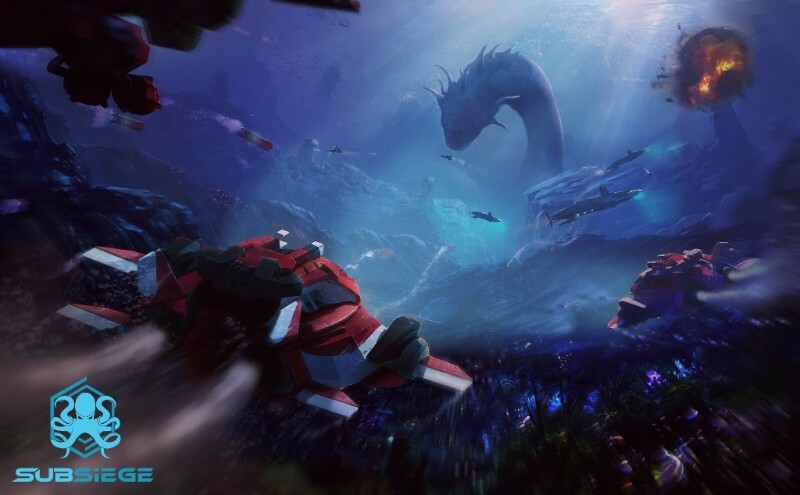 The ambition is to create a challenging and rewarding gaming experience that demands elaborate manoeuvres, skilled reactions and predictive strategies. 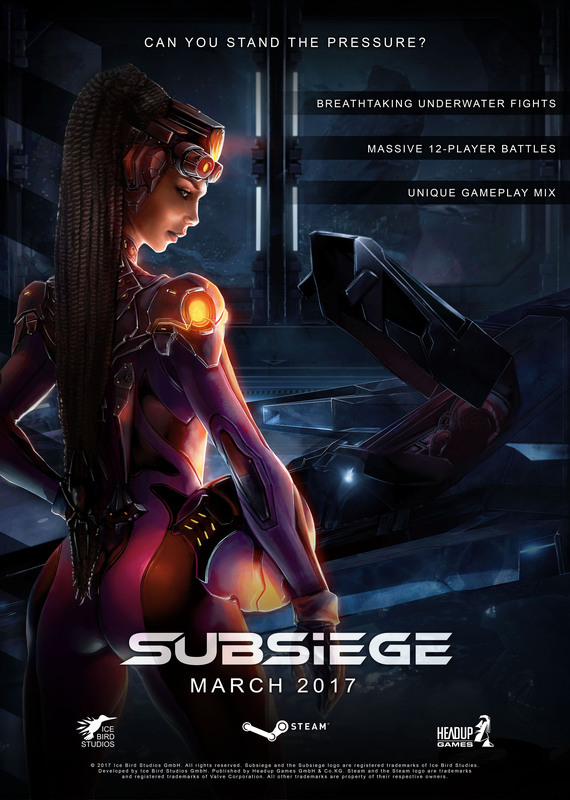 The head attraction of Subsiege compared to other representatives of the classic MOBA genre is that you have to control multiple units simultaneously while keeping your eye on the pressure level of your shrinking oxygen resources. Barricading yourself is no option because you are only able to get hold of the essential resource through active scouting and offensive plays. Command your handpicked squad in an excellent RTS-style while fighting off other players on persistent servers at the same time. But it's not all about your rivals... 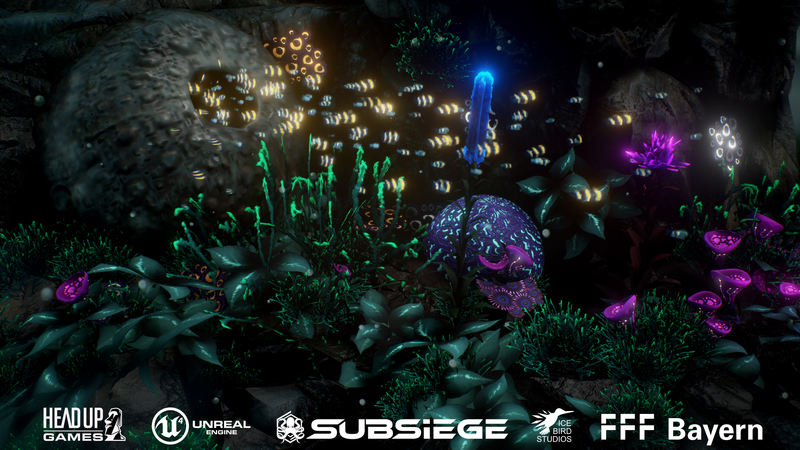 The sunken battlegrounds hold their own dangers: Toxic coral reefs, a threatening fauna and deadly creatures of the depth handicap those travelling underwater. More information will follow in constant frames of time. We are an independent games publisher located near Cologne in Germany awarded as Best German Publisher in 2012 and 2013 by the German Developers Association. Together with our partners, we focus on the contentment of our customers and the best gameplay experience delivered at the fairest price-quality ratio. 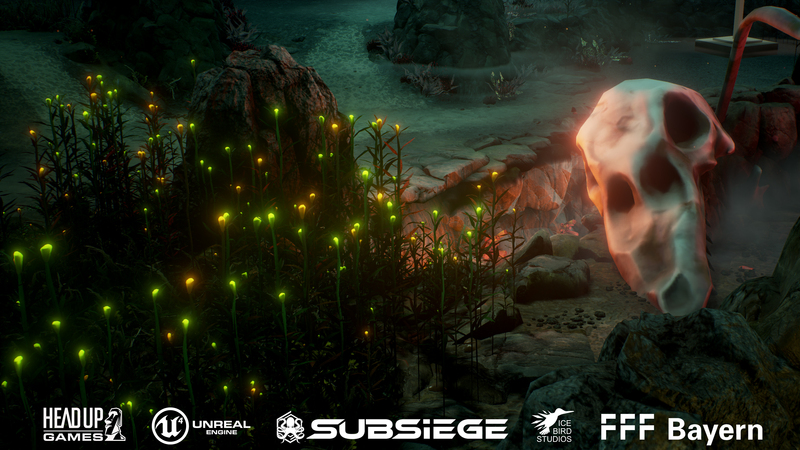 Since our foundation, we have published over 100 games, including many projects from highly talented developers that are known for their potential and creativity. 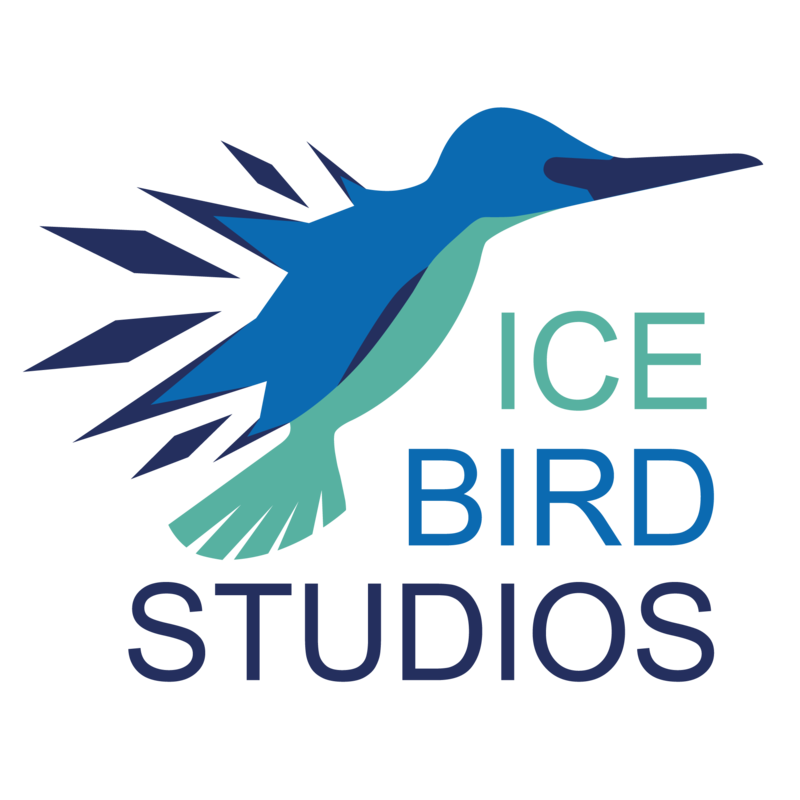 Our portfolio features high-quality games such as Superhot, Super Meat Boy, The Binding of Isaac, Terraria, Limbo, The Basement Collection, Gone Home, Q.U.B.E., Frozen Synapse and many more as well as the million sellers #1 iOS hits The Inner World, Bridge Constructor and Bridge Constructor Playground. The #Brexit will have impact to numerous industrial sectors including the games development. Accordingly it will have impact to the Submerge Development. SO is there still a Human faction? yes it is. in fact, the human faction will be the one played in the gameplay test. Fantastic work! definitely tracking this!